River Raisin Caonoe Livery Paddle boat Rentals. Come have some fun @ River Raisin Canoe Livery!! Price includes jackets or cushions. Other charges may apply. 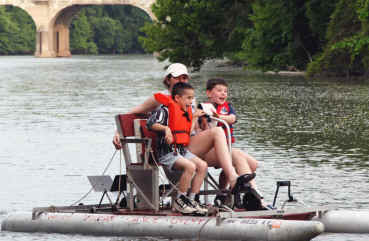 $ 20.00 Deposit per unit for trips A-C and paddle boat.